I grew up in the Philippines during the 1960s and 1970s. My family lived in a small rural community of about 100 families. We lived on the side of a mountain, and everybody in our community earned their living from agriculture, primarily coconuts. My father was a farmer, and his main crop was coconuts. He had some rice plantations and grew some other crops, and he was also the principal of our local government elementary school. 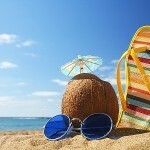 But his main source of income in the 1960s and early 1970s was from coconuts. He made more money from the sale of his coconuts than he did as a school principal, for example. In the Philippines, the government provides education through 6th grade only in many places. High school and college are usually privately run and beyond the cost of most of the poor. My father sent all eight of his children to high school and college through the profits of the coconut industry, producing 3 school teachers, 1 nurse, 1 medical doctor, and myself, a nutritionist/dietician. The people in our farming community while I was growing up primarily ate food that they had grown or raised themselves. Our diet consisted mainly of rice, coconuts, vegetables and root crops, herbs (especially garlic and ginger), and some meat that was raised locally. Trips to the market were made once a week to buy primarily fresh fish caught in the ports nearby. While my parents’ generation would have grinded their own rice by hand, leaving in tact most of the bran and nutrients, after World War II during my time rice mills starting popping up making it easier to mill rice. The first mills used in my day were “crude,” and did not polish the rice, so we basically still ate healthy grains which today would be considered low-carb. Later, the mills became more sophisticated and began to polish the rice making it bright white. All of our food back then would be considered “organic” by today’s standards, as we had no access to chemical fertilizers or pesticides. Living in a tropical climate, our animals, such as chickens, cows, goats, etc., all grazed on natural green vegetation. 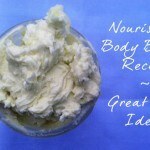 Coconut and coconut oil was used daily. My parents’ generation made coconut oil by hand using either the boiling or fermentation method. After World War II desiccated coconut plants and coconut oil mills were established for the booming baking industry in the US. Refined coconut oil started to make its way into the local economy as well, but at that time even the refined coconut oil made from copra (dried coconut meat) was done through a mechanical pressing that did not use solvent extracts. While some people still made coconut oil the “old fashioned” way, many began buying the cheaper, odorless coconut oil in the markets. Our natural diet was definitely a high-fat diet, a diet high in the saturated fat of coconut oil. So what was the health of the people like in our community, where everyone ate a diet high in the saturated fat of coconut oil? Our community was part of a larger community of some 50,000 people that was served by a single government doctor in those days. While pharmaceuticals began to be manufactured in the Philippines after World War II, people in communities like ours could not afford them. We had our own traditions of dealing with simple sicknesses using local herbs and coconut oil. When people did go to town to visit the local government doctor, it was usually not for the kind of ailments that westerners go to the doctor today, such as diabetes, cancer, heart disease, thyroid problems, etc. 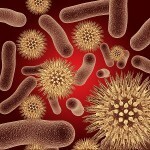 These illnesses were virtually unknown in my younger days. People went to see the doctor to treat wounds, or from sicknesses common in the tropics, such as malaria, diarrhea, dengue, etc. 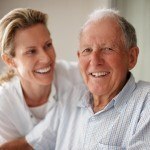 My father was well into his 60s before he made his first visit to the doctor, and that was for a head wound. He died in the late 1980s in a car accident in the U.S. He was in his 70s and in perfect health. Two of his older sisters still survive him to this day and are in great health. One is in her 90s. One of his sisters, my aunt, was in her late 80s and still lived in the remote area of the Philippines where I grew up, eating a traditional diet, when my family moved back to the Philippines in 1998. 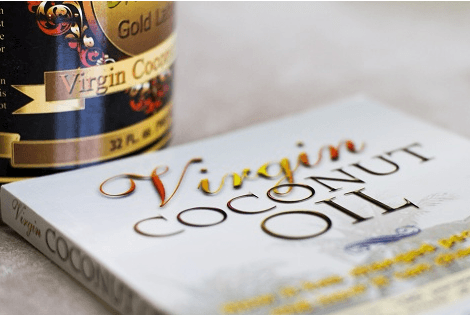 She taught us how her generation made coconut oil by hand, which is the basis for the Tropical Traditions Gold Label Virgin Coconut Oil, the most popular Virgin Coconut Oil sold in the U.S. Her first visit to a doctor was when she was in her early 80s. I myself have no memory of being sick growing up. I suffered my first “cold” when I was in my 30s, after I married my American husband and spent a year in the U.S. eating typical U.S. food found in grocery stores. This picture of life in the rural Philippines is typical of those who grew up in my generation or my parents’ generation, eating traditional foods with an abundance of saturated fat found in coconut oil. Sadly, it is no longer true today. Since the mid-1970s demand for coconut oil fell so low that coconut farmers could no longer afford to support their family on the income of coconut harvests. Many people left the farms and went to the cities to find better employment, and soon adopted new dietary trends similar to western diets. Cheaper mass-produced industrial foods, particularly meats, now replace most of the local traditional foods we used to grow or raise ourselves. Snack foods and other fast foods are now made with hydrogenated coconut oil to keep it solid at the high air temperatures experienced in our tropical climate. The rice is now polished and grown with chemical fertilizers, and soft drinks loaded with refined sugars are found on every street corner, replacing the natural “buko juice”, the water from the inside of the coconuts, that my generation grew up drinking. Even the coconut water drinks still sold are usually loaded with refined sugars. Our traditional, high-fat low-carb diet has been replaced with many refined high-carb substitutes. Growing up it was very rare to see anyone considered overweight, and almost never considered “obese”, but even that is changing now as the diet has changed also. Other studies done among the Pacific islands were conducted back in the 1930s by Dr. Weston Price, a dentist. Dr. Price spent significant time traveling and examining traditional cultures, their diet, and dental and overall health, as compared to those eating more modern diets consisting of refined foods. His work is documented in the book Nutrition and Physical Degeneration (1939 Keats Publishing). As he traveled to islands throughout the South Pacific, he found the same thing wherever he went. 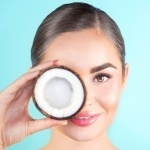 Those eating a traditional diet consisting of high concentrations of coconut were in very good health, and were not obese even though they had such a high fat content in their diet. Those who through commercial trade with western countries were starting to eat more refined foods high in carbohydrates were starting to suffer common western diseases, including dental decay. In India a study was done comparing traditional cooking oils, like coconut oil and ghee which are rich in saturated fats, with modern oils like sunflower or safflower oils which are mostly polyunsaturated, in relation to prevalence of heart disease and Type-II diabetes. The study was done by the Department of Medicine, at Safdarjang Hospital in New Delhi. The study was titled “Choice of cooking oils–myths and realities”, and was published in the Journal of the Indian Medical Association in 1998. 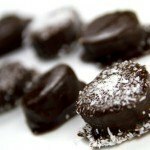 They found that while saturated fats were portrayed as unhealthy in favor of newer polyunsaturated vegetable oils, that heart disease and diabetes had actually increased after consumption of the traditional oils like coconut oil and ghee decreased.2 Weight gain typically is associated with heart disease and diabetes. They concluded that these newer “heart-friendly” oils like sunflower or safflower oils possess an undesirable Omega 6 fatty acid ratio to Omega 3 fatty acids, and that there are numerous research data now available to indicate that the sole use or excess intake of these newer vegetable oils are actually detrimental to the health of Indians. So how do people in the tropics do it? How can people on traditional diets consume so much saturated fat and remain slim and healthy? 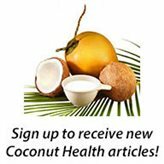 Researchers have known for quite some time that the secret to health and weight loss associated with coconut oil is related to the length of the fatty acid chains contained in coconut oil. 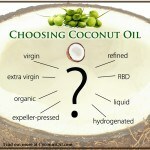 Coconut oil contains what are called medium chain fatty acids, or medium chain triglycerides (MCTs for short). These medium chain fatty acids are different from the common longer chain fatty acids found in other plant-based oils. Most vegetable oils are composed of longer chain fatty acids, or triglycerides (LCTs). LCTs are typically stored in the body as fat, while MCTs are burned for energy. MCTs burn up quickly in the body. They are a lot like adding kindling to a fireplace, rather than a big damp log. Coconut oil is nature’s richest source of MCTs. Not only do MCTs raise the body’s metabolism leading to weight loss, but they have special health-giving properties as well. The most predominant MCT in coconut oil, for example, is lauric acid. Lipid researcher Dr. Jon Kabara states “Never before in the history of man is it so important to emphasize the value of Lauric Oils. 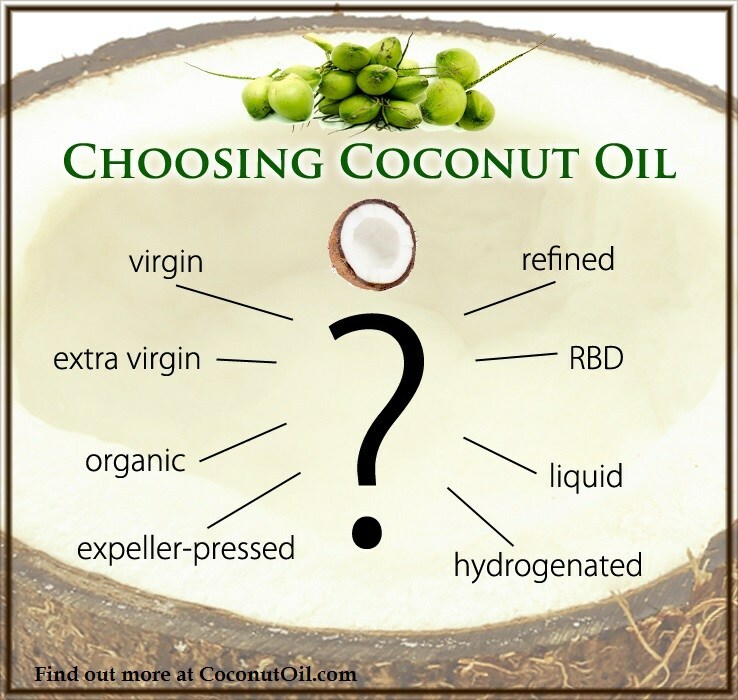 The medium-chain fats in coconut oil are similar to fats in mother’s milk and have similar nutriceutical effects. These health effects were recognized centuries ago in Ayurvedic medicine. 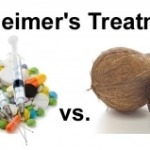 Modern research has now found a common link between these two natural health products—-their fat or lipid content. The medium chain fatty acids and monoglycerides found primarily in coconut oil and mother’s milk have miraculous healing power.”5 Outside of a human mother’s breast milk, coconut oil is nature’s most abundant source of lauric acid and medium chain fatty acids. 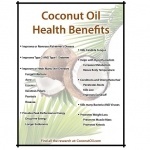 So now that we know that these wonderful health benefits found of coconut oil that lead to weight loss and vibrant health are in the fatty acids of coconut oil, the question that begs to be answered is why hasn’t this secret been revealed in the past? The answer is that is has! The incredible health properties of MCTs was researched and documented by people like Dr. Jon Kabara as far back as 1966. 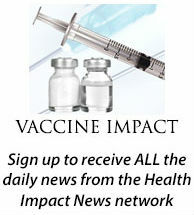 MCTs have been part of infant formulas and hospital formulas for many years. The food industry at one time considered coconut oil to be the most superior dietary oil for use in baking and food preparations. At one time, it was a significant part of the American diet. However, during World War II when the Japanese occupied most of the South Pacific and the Philippines, supplies of coconut oil were cut off for several years. Americans were forced to turn to alternative sources for cooking oils, and this is when many of the polyunsaturated oils began to make their way into the market place. 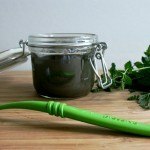 How Did Coconut Oil Get Such a Bad Reputation? Beginning in the 1950s, public opinion towards saturated fats in general, and then later towards coconut oil in particular, began to turn negative. 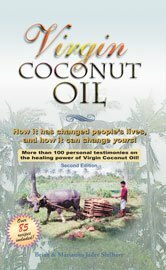 This history of the edible oil industry in the US has been well documented by Dr. Mary Enig, Ph.D., and can be read at www.coconutoil.com or at the Weston Price Foundation website (www.westonaprice.org). 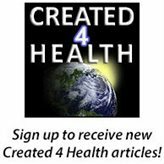 Her articles “The Oiling of American” and “Coconut: In Support of Good Health in the 21st Century” provide in depth analysis of the saturated fat research, and the negative campaigns that have been waged against coconut oil. The saturated fats/cholesterol scare soon became mainstream thinking, however, and before long certain groups began taking aim at the saturated fats found in coconut oil. At one time coconut oil was a significant part of the American diet. Suddenly, we were told to avoid anything with tropical oils—from theater popcorn oil to packaged snack foods, which was a complete turn from when the food industry considered coconut oil to be an excellent dietary oil for use in baking and food preparations. Congress held hearings in 1988 to discuss the safety of tropical oils. 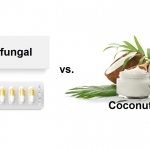 Dr. George Blackburn, a Harvard medical researcher, testified that coconut oil has a neutral effect on blood cholesterol, even in situations where coconut oil is the sole source of fat. Surgeon General C. Everett Koop dismissed the entire attacks on coconut oil as “Foolishness,” and continued to say “but to get the word to commercial interests terrorizing the public about nothing is another matter.” However, with no strong political influence in Washington from the coconut-producing countries, the ASA and CSPI prevailed and soon coconut oil almost vanished from the American diet. At one time a significant part of the American diet, today it has been replaced by the so called “healthier” vegetable oils. Today, walk into any major grocery or retail food chain, visit the cooking oil section and you will not find much in the way of saturated fats. What have replaced saturated fats are now liquid vegetable oils, also known as polyunsaturated oils. Unfortunately, polyunsaturated oils are not stable and they are prone to oxidation. These commercial vegetable oils are a recent addition to our diet since World War II, when manufacturers developed a process to make them shelf stable by using hydrogenation. Hydrogenating, or partially hydrogenating these oils, also makes them more solid (mimicking saturated fats) and useful for baking and deep frying. In 1988, CSPI published a booklet called Saturated Fat Attack, which defended trans fatty acids and partially hydrogenated vegetable oils and called for pejorative labeling of “saturated” fats. The booklet contained a section called “Biochemistry 101,” which claimed that only tropical oils were dangerous when hydrogenated. “Hydrogenated (or partially hydrogenated) fats are widely used in foods and cause untold consternation among consumers. . . [they] start out as plain old liquid vegetable oils (usually soybean), which are then reacted with hydrogen. . . converting much of the polyunsaturated fatty acids to monounsaturated fatty acids. . . [with]. . . small amounts. . . converted to saturated fatty acids. . . [e.g. 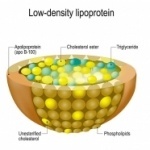 ], stearic acid, which seems to have no effect on blood cholesterol levels. Most of the fats in the diet of our forefathers were saturated fats. This is also true of many traditional cultures. Tropical diets, for example, get much of their fats from coconuts and palm oil, which are rich in saturated fats. As we have seen with our experience in the Philippines, these traditional cultures have not had the obesity and health problems that we are seeing today in our culture, even though they had a diet high in saturated fats. At 2 years of age, my daughter was screaming, grunting and pointing and grunting for most things. She had a very small vocabulary (despite us trying to teach her words for things). We discovered that a cousin of hers has NIDS and started researching to find out if our daughter might have NIDS as well. NIDS is NeuroImmune Dysfunction Syndrome. Basically it says there is a virus attacking the brain that causes Autism, ADD, ADHD and CFS and the whole range in-between (including apraxia). 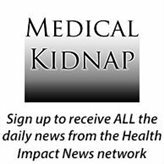 Her son was put on a ton of pills in order to help him (antivirals, antibacterials, antifungals and others). Since coconut oil is a known NATURAL antiviral, antibacterial and antifungal, I figured it could not hurt to try it. So I immediately replaced all our cooking oils with coconut oil. I also gave her a supplement of coconut oil (1-2 teaspoons a day). One reason why saturated fats have a long history of use in traditional cultures is because they are very stable fats that do not easily oxidize (turn rancid). Virgin Coconut Oil, for example, will not go rancid even at room temperatures in the tropics for a couple of years. Conversely, the refined oils that many Americans use are very unstable and turn rancid (oxidize) quickly. 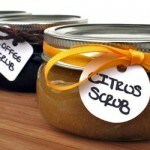 Oxidized oils are very toxic to the body and they can cause wide spread free-radical damage. Saturated fatty acids constitute at least 50 percent of cell membranes. They give our cells necessary firmness and integrity. Saturated 18-carbon stearic acid and 16-carbon palmitic acid are the preferred foods for the heart, which is why the fat around the heart muscle is highly saturated.19 The heart draws on this reserve of fat in times of stress.